« Russia-Ukraine Conflict: Is The Consecration Of Russia Now Urgent? Hilarious! That really did make me laugh out loud! I have a niece who is forever putting her foot in her mouth, so to speak. On one occasion, while she was a student at a college in Glasgow, she took a part time job cleaning an office. One of her co-workers often used to talk about a male colleague in England whom she just hated to bits. We’ll call him James Smith (not his real name). Then one day, a visiting male joined the staff at break and in the middle of the chat this lady’s name was mentioned. The visitor said: “I don’t know why, but she absolutely hates me.” To which my niece responded: “O, so you’re James Smith! He smiled wryly and said – yes… My niece was mortified and only got herself more entangled trying to take back her words! So, when I see her, my first question after “how are you?” Is always “Any stories?” She knows exactly what I mean – and usually has at least one! 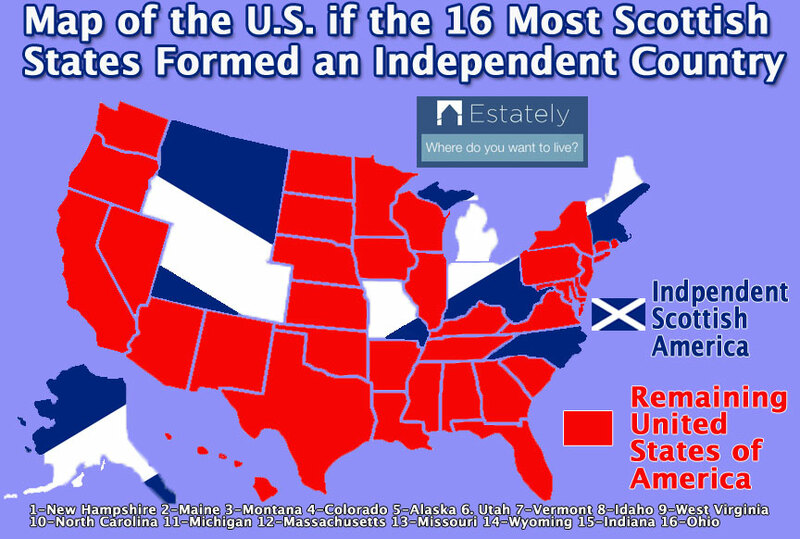 I thought of you and Margaret USA when I saw this map of the US, LOL! 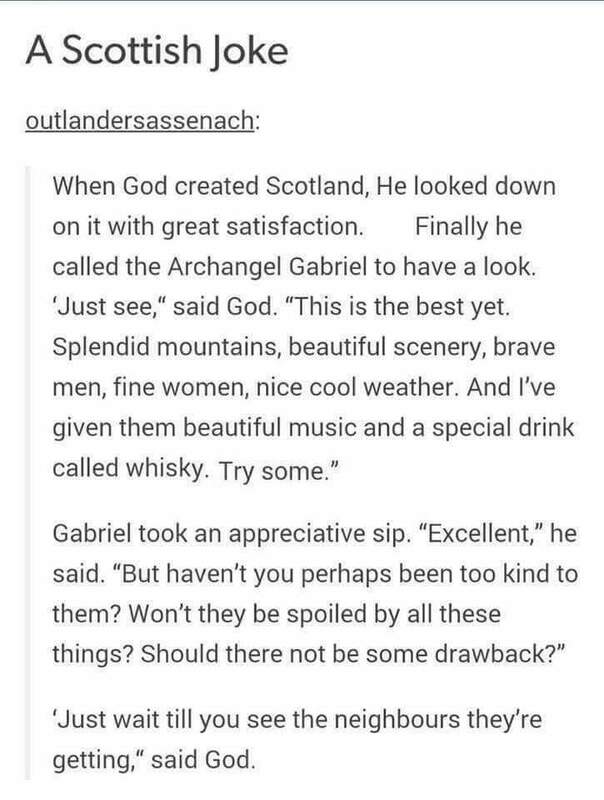 I thought it would make St Andrew’s Day special for you, too! Thank you! I’m in Pennsylvania (red). You can see the deliberate change! Thank you for that information – I hadn’t noticed that. What a pity. Hopefully, she will visit here and read your post – she can then put that right in any future performances. She’s a lovely singer and tends to sing very traditional hymns. Yes its a shame when people edit hymns, especially when it is to remove hard truths! I remember St Aloysius Garnethill once sang the lourdes hymn, but at least three verses were missing so as to avoid any mention of Rome, our Holy Father and Heresy! Its just ridiculous! I hate that, too, when they change the words of hymns and it happens a lot. I just won’t sing if they have removed words to be politically correct. Maria is a lovely singer, and I love the St Andrew’s hymn. I also enjoyed Ben Shapiro’s story about his wife, LOL! Two Scots, a father and his son, decide to go to America. Happy Feast Day! One never hears about St. Andrew the way one hears about other countries’ Patron Saints! A scotsman, an englishman and an irishman walk into a bar. The barman says “What? is this some kind of joke?”. How was copper wire invented? Two Scotsmen fighting over a penny. What do you call a Scots-Indian karaoke expert? Gupty Singh. As for my family foibles? My wife is unable to close a door at anything lower than the volume of a bomb going off. It runs in her family, as her mother does it too. They must think it is some competition to see who can make the walls shake the most. And my wife is the most ridiculously light sleeper. She could be woken by a mouse dropping a pin in Siberia. So, fat chance of me managing to sneak into bed late in the evening after returning from the pub! I had best leave it there, lest any of my own eccentricities come to the surface haha! Your story about your dad reminds me of a joke about a Scotsman whose son asked if he could watch the TV. His dad said, Yes, but don’t turn it on! That might be, because we share him with several other countries, including Russia! So, to avoid litigation, it may be that broadcasters and print news outlets, just avoid mentioning him at all. If he’s named as Patron Saint of Russia, for example, Nicola Sturgeon might sue for anti-Scottish discrimination, and so on. You have to laugh! He’s the Patron Saint of Ukraine. St. Andrew blessed the hills where Kiev is now and foretold that a great city would be built upon them. Love the foibles and jokes. I am not good at remembering jokes but I remember someone saying you should be careful about stereotyping the Scots as mean. Someone from Aberdeen wrote a letter once to a newspaper, saying, “If you print any more jokes about mean Scotsmen I shall stop borrowing your paper.” LOL! May I add to this hilarity?. I am a Yorkshireman and have often been taunted by the comment “What’s a Yorkshireman? He’s a Scotsman with the charity squeezed out of him! Happy Feast of St Andrew, today, everyone! Happy Feast day to everyone at Catholic Truth! I have a bagpipes joke. I thought I’d heard all the bagpipes jokes but that’s a new one on me – very funny.. if probably very true! Thank you, Margaret. And a very happy Feast to you as well! Fortunately, I don’t play golf and I no longer live in Aberdeen, but today’s news is that The Donald is once again in battle with the local authority over his development plans up there. Seems he wants to depart from his original plan in order to build luxury houses,and the Aberdonians are not having it. So, I’ll settle for reading through the link you’ve posted – many thanks for that; I’m looking forward to perusing the site. All great jokes. Thanks, everyone! The following, however, is not so funny…. “Vatican City, Nov 30, 2018 / 01:23 pm (CNA).- On the feast of St. Andrew the Apostle, Pope Francis told the Ecumenical Patriarch of Constantinople that while the Holy Spirit has in recent years prompted a “fraternal dialogue” between the Catholic and Orthodox Churches, both Churches should work to achieve full communion with one another. This thread is now closed so, again, many thanks to all who contributed to it.